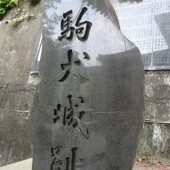 Currently, the monument is located in Toen temple. 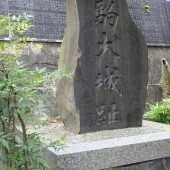 Much of its area is used as a cemetery now. 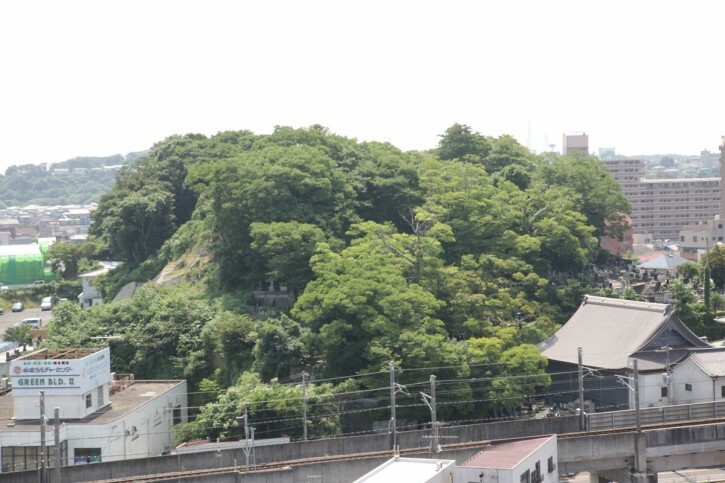 In the Muromachi period (about 600 years ago) there was a castle called Komainu on top of Toenji-raijin mountain. Komainu castle was originally the property of a Mr. Isawa (later changed to Mr. Rusu), who was a vassal of Yoritomo Minamoto. 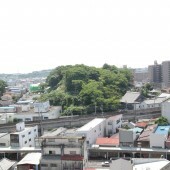 Later, it became a residential castle of Nobutaka Sato, who was a senior statesman of Mr. Rusu. Thus it is also known as Sato castle. 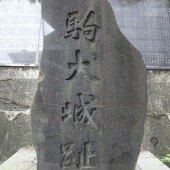 In the record of Shinsen-mutsu-fudoki, there is a sentence which reads: “There are ruins of a castle of Nobutaka Sato on the mountain of Southeast of Shiogama shrine.” In the first year of Genki, it became an abandoned castle.